Are you ready with the idea of a trip to the Maldives? That sounds great! But hey, did your search for some perfect Maldives travel tips? When traveling to a new place, specifically a new country, it is important that you recognize some considerable details about the traditions, cultures and the dos and don’ts would let you have even better experiences. There are always facts and details that are often missed out. On one hand, where the Maldives sounds to be pretty interesting as a holiday destination, several gestures and unrecognized facts could ruin your experience. Peppered all across the Indian Ocean, there are over 1,190 small individual islands. These islands are too small that they won’t even appear on the maps. This is incredible! However, out of these thousands of islands, only 200 are actually inhabited. The islands that are uninhabited are generally used by industries, farmlands, picnic spots or for resorts. Knowing this fact could be really helpful when you’re still planning the trip. It is would be certainly known that there are strict rules regarding women clothing. Being a woman, you will at least have to cover your shoulders and knees. It’s although much easier for men. You need to consider some points being on the islands that are open for locals especially. Resort islands would, however, set you free to dress up as per your choice. Being an Islamic country, Maldives would pose some extremely important rules for the tourists too. Many of these rules have had been never known to you. You may also use this point as one of the important Maldives travel tips. For instance, alcohol is not available there (resort islands are exceptions); there’re also no pork products. For women, wearing clothes that are way too revealing is not allowed. Also, expressing affection through hugs or kisses publically is illegal. This might be surprising but yes, there are Airbnbs in the Maldives. Since the year 2009, the locals had been allowed to maintain their guesthouses. These locally owned Airbnb apartments are also affordable places to accommodate during your holidays. Seashells generally end up being homes to hermits, crabs and other creatures and thus play a major role in maintaining control of the sandfly population. The government has formulated some strict rules and policies against collecting seashells, corals, sand or tortoise shells. 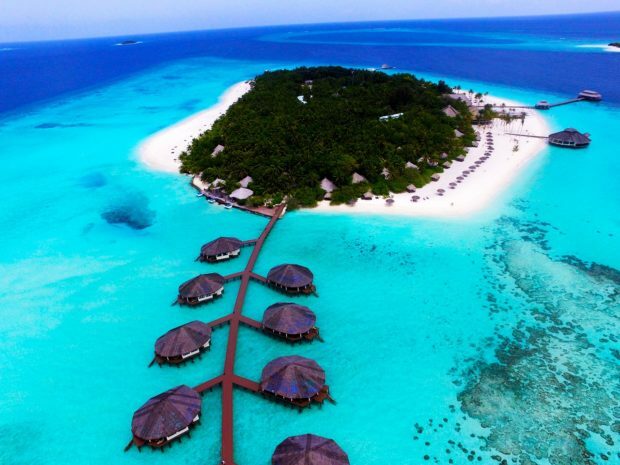 Unlike any other countries, the Maldives has the flattest geographical regions. There are no hills or rivers. Also, the maximum height of the islands here is 2.4 m above sea level. There is not much local produce in the Maldives apart from coconuts, papayas, watermelons, bananas, and salads. Hence, most of the food ingredients are known to be imported from other countries including Sri Lanka, India, Australia, Brazil and some more countries in Europe. A stay at a luxury resort would certainly offer you activities and a perfect place to relax but considerably expensive. The local islands would, however, offer you everything at a very reasonable price. You can participate in various adventurous activities including surfing, diving, snorkeling, dolphin watching and many other interesting activities. You may also go for island hopping; this could be the best way of exploring the place perfectly. You can certainly not miss the chance to explore the excellent underwater kingdom boasted at the Maldives. You are likely to come across some explicit and interesting species. There are plenty of options available for accommodation in the Maldives. However, there are so many atolls and resorts with their names really hard to pronounce. Also, none of these resort names notify their locations. Therefore, choosing the right hotel is going to be a difficult task here. You will have to consider all this based on the budget limits you’ve set. If you are planning for a limited budget trip then you should probably look for options that are nearer to the airport. Choosing to stay at a local guesthouse would be way easier than getting confused with equally competent choices available around you. You may consider various Maldives tour packages to get what you’ve desired. Resorts in the Maldives are set on private islands. This can make out a picture of how small the islands may be. You would need to be ready with your stuff well or else it’s all going to turn out to be really boring. Unless you take up a day trip, you will have to be around the same people stuff all the time. Also, there would be no movie theatres, shopping malls or any other sources of entertainment outside the resorts. Therefore, be sure to plan things well enough to not let you feel bored or stuck. 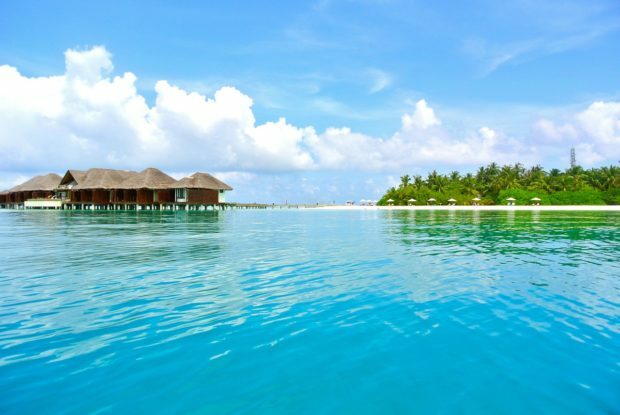 The Maldives is known to witness tropical climate all through the year. There are the dry season and the wet season as the two dominating ones. A little rain with less humidity is experienced during the dry season that prevails from December to April. The wet season is expectedly wetter with rains and strong winds that generally continue from May to November. The place usually experiences humidity from 75% to 80%. March to December would be the best time to explore and enjoy holidays in the Maldives. Moreover, if you are getting here especially for surfing the then June, July or August should probably be chosen. You can prepare yourself accordingly. There are still many more points that should be known. However, the ones mentioned here would surely guide you with the best Maldives travel tips and enjoyable trip plans.